To my knowledge there’s only been one other biography of the great UFO and that’s by my Canadian metal writing buddy, the highly revered and prolific Martin Popoff. 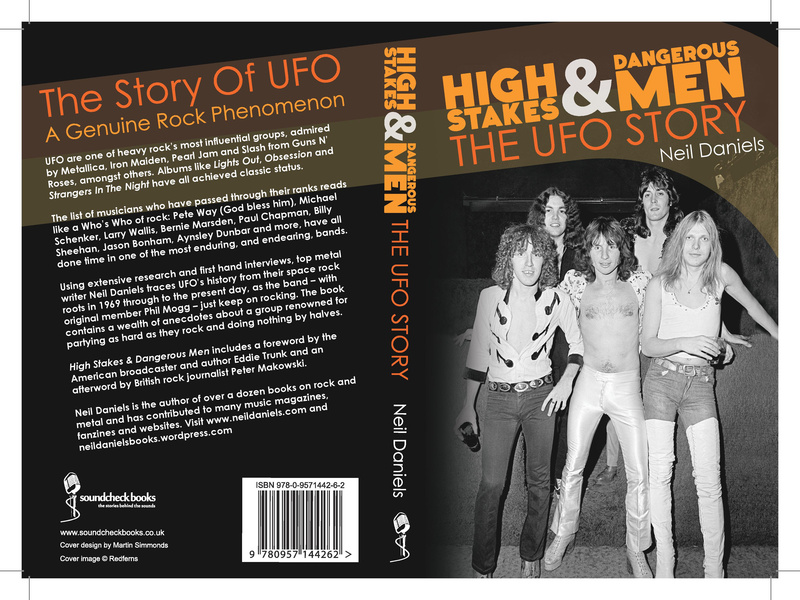 High Stakes & Dangerous Men charts the highs and lows of UFO since their inception way back in 1969. It covers every album and tour as well as the many personnel changes with interviews with former band members, producers, friends and fans and includes a foreword by Eddie Trunk and afterword by Pete Makowski , and includes photos by Sue Ashcroft and Richard Galbraith. It’s out now.